How Can We Fix the Damaging Effects of Fast Fashion on the Environment? A recent BBC documentary on Fashion’s Dirty Secrets has been raising awareness of the global harm resulting from the fast fashion industry. For most people, it is shocking to learn that they are contributing to this damage by their consumer habits. Lots of shoppers don’t think twice about stocking up their wardrobe every season and throwing away the clothes that are no longer on trend. It’s time for us to pause and realize just how fast fashion works, and what exactly it is doing to our planet. 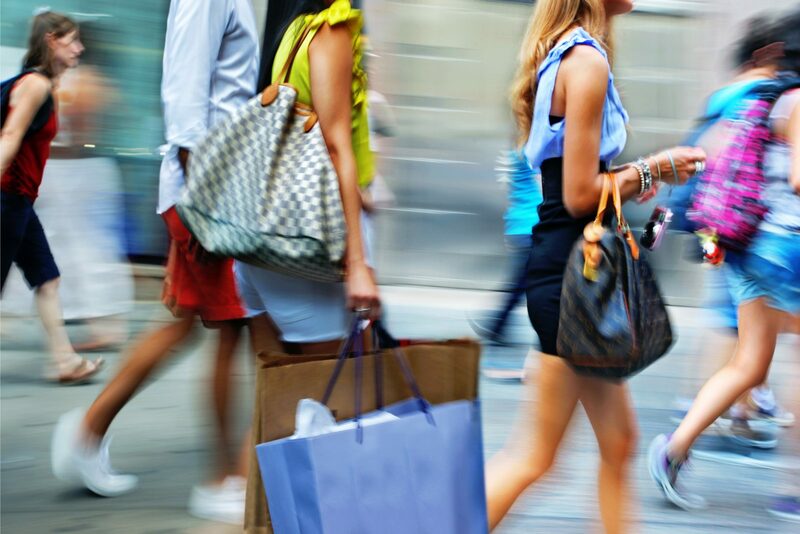 Beyond this, we need to take steps to fix the damaging effects of fast fashion. What exactly is fast fashion? Online and high street fashion retailers are increasing their stock turnover much more frequently than ever before. Instead of seasonal collections only dropping several times a year, brands capitalize on ever-changing trends by creating new lines every few weeks. The overwhelming availability of a variety of clothes for low prices means that customers buy more clothes than they need. Combined with online virality and Instagram’s “wear it once” mentality, shoppers go through clothes at an alarming rate just to keep up with the latest fashion trends. The production line from the catwalk to affordable copies just keeps getting faster, hence the term “fast fashion.” All that we see is the possibility of updating our wardrobes more often for less. What we don’t see is the hidden cost behind the clothes. Why is fast fashion harmful? Due to the excesses of fast fashion production, this industry is one of the largest sources of pollution. Producing billions of garments every year is unsustainable. British shoppers alone are buying twice as many clothes as they were 10 years ago, and the clothes they keep discarding are adding to the pile in landfill sites. The vast production of these clothes contributes to the greenhouse gas emissions which cause global warming. The industry also uses too much water and resources, and creates too much waste. Over 40% of all clothing contains cotton fibres. Cotton farming at its current level results in water shortages and pollution from the toxic chemicals in pesticides and dyes. For example, there are hundreds of factories along the Citarum River in Indonesia. The level of toxic waste they try to dispose of in the river is hazardous to human health and wildlife. In Kazakhstan, the inland Aral Sea has become a desert due to the diversion of rivers for cotton production. Another problem with the clothing production process is the exploitation of women and children. Many companies source their manufacturing in poorer countries so they can utilize cheaper labour. These workers often don’t even earn enough money to live on and have to endure unsafe conditions. Do you check the ethical practices of the brands you buy from before you shop? If not, it’s time to start. How can we improve fashion sustainability? There is a growing concern among MPs as well as the public about the “throwaway culture” of fast fashion. British people have the highest level of clothing consumption in all of Europe, sending a shameful 235 million garments to landfill sites last year. The House of Commons Environmental Audit Committee recently wrote letters to the largest British high street fashion retailers. These brands include Primark, Next, Tesco, Asda, JD, Sports Direct, the Arcadia Group, and Debenhams. The letters ask these retailers to explain how they are reducing their environmental impact while benefitting the UK economically. They had until 12th October to respond, and further hearings and inquiries will take place in November. Lawmakers are also asking whether they employ and pay their factory workers legally. These inquiries will hopefully bring such harmful practices even more into the light and force companies to change things. Many fashion brands are already joining the wave of environmentalism and setting targets to improve their sustainability. ASOS is committing to using 100% sustainable cotton by 2025, while Primark is now selling pyjamas made through their Sustainable Cotton Programme. H&M has set a later goal of using 100% sustainable materials by 2030, and Adidas aim to be manufacturing shoes using recycling plastic only by 2024. This is putting things on the right track. However, we also have to address consumer culture and the influence of social media on customer attitudes. We must also try to avoid shaming people for buying fast fashion if those clothes are all they can afford. 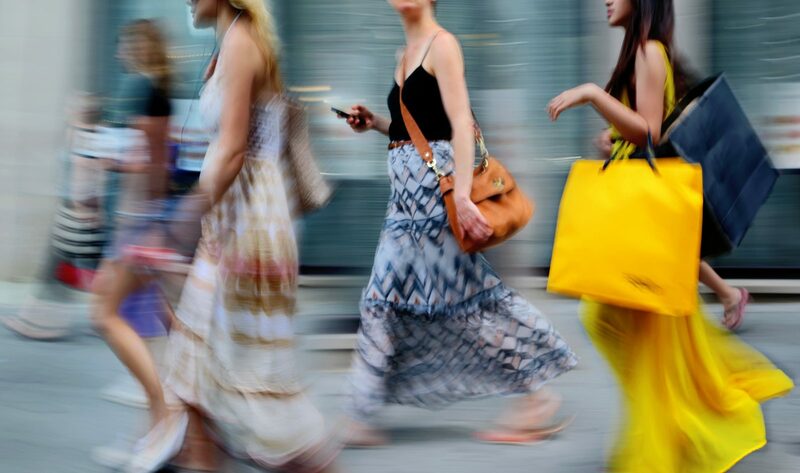 What can shoppers do to counter fast fashion? So, what can you do as an individual to help ease the negative impact of fast fashion? First of all, stop buying a lot of unnecessary outfits! Wardrobe-pool with friends or family members if you want a wider selection. When you do shop, put your money where it matters and either buy sustainable clothes or buy from brands which are making an effort to improve their sustainability. Invest more carefully in pieces that you can style in different ways and wear a lot instead of tossing them aside after one night out. Spending a little more on better-quality clothes to last instead of cheaply-made fast fashion which falls apart after a few wears will be better for your bank account, too. Don’t buy into online fads or cave to the pressures of having to wear something new for every event and Instagram photo op. How can I recycle old clothes in the UK? And of course, the major thing you can do with your clothing is RECYCLE! There’s no need to throw your unwanted garments in the rubbish bin. If they’re in good condition, try selling them on yourself to make a little extra cash. Or you can donate them to a charity shop and help another good cause that way. Even if those options don’t work for you, or the clothes are kind of worn out, you can still recycle them. Plenty of brands now offer recycling schemes with incentives. If you’re going to shop for new clothes, recycle your old ones and save money at the same time. With H&M Garment Collection, you can get a voucher for every bag of textiles you drop off instore. They don’t have to be H&M brand clothes, and they can be in any condition. Marks & Spencer has a similar initiative. You can drop off unwanted clothes from any brand at an instore Shwop Drop to earn Sparks points. Or take them to an Oxfam store and receive a £5 voucher for M&S if you drop off an M&S garment. If you just want to donate to charity, TK Maxx runs a Give Up Clothes for Good scheme. Drop off good quality items you no longer need in TK Maxx stores, and they will donate them to Cancer Research UK shops for you. If you have a pair of worn-out athletic shoes, you can hand them in at a Nike store. Their Reuse-a-Shoe programme accepts any brand and recycles the materials to create Nike Grind surfaces. You can also drop off goods for recycling or donation at Zara for the Join Life scheme. If you want to make recycling and donating clothes even easier, and get discount coupons too, check out reGAIN. Since launching earlier this year, this app has been receiving some media buzz. Users can ship their old clothing, shoes, handbags, and belts to reGAIN from one of more than 20,000 drop-off points in the UK. Shipping is free, but you will need to download and print off the delivery label yourself. You should also package it securely and re-use other packaging materials to do so. There is a minimum requirement of 10 items per shipment, subject to size and weight restrictions. After this, you can unlock a discount code of your choosing from their list of recycling rewards. Participating retailers include AO.com, Boohoo and BoohooMAN, Missguided, Myprotein, and several others. The offers range from £10 to £30 off a fixed-price shop, or percentage discounts from 10% to 50% off. You can select the discount you want and the promo code will unlock within 30 minutes of dropping off your shipment. Then you can use it straight away, or any time within 10 days before it expires. It might seem like this is counterproductive if recycling encourages you to then buy more. However, it’s just not realistic to expect people to stop shopping for new clothes. What we can expect is for people to follow incentives and behave sustainably with their old clothes. By using schemes like reGAIN, you are diverting clothing from landfill and ensuring that they get further use rather than contributing to waste. The fashion economy needs to become circular so that resources can all be recycled.